The event opened with a drinks reception on Thursday evening followed by a formal dinner (evening attire) and the presentation of the President's Awards. The results can be viewed here. The President's Meeting on Friday started with a policy review and forward look with presentations by industry experts on key topics affecting the local government sector, followed by discussion and feedback forums. The meeting concluded with the AGM. 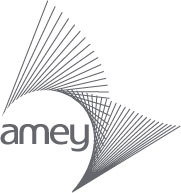 The event was kindly sponsored by Amey, Ringway and WSP. Formal dinner (black tie) on 3 May; all meeting refreshments provided at the venue on 4 May.